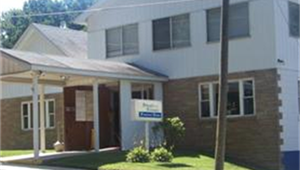 The Stemple & Forman Funeral Home was founded in 1947 by local Attorney Dayton Stemple and Barbour County Sheriff Joseph Forman when they purchased the L.C.Stevens Funeral Home and was moved to its current location on South Main Street in 1962. John M. Stemple, son of Dayton, joined the firm in 1947, completed training and received his licenses as a Funeral Director and Embalmer in 1951. He became sole owner of the firm in the 1960's. The Stemple Funeral Chapel was founded in 1965, when John M. Stemple purchased the Evans Funeral Chapel, moving to the 609 Crim Avenue Location in 1968. We are members of the National Funeral Directors Association and the West Virginia Funeral Directors Association. The Stemple & Forman Funeral Home and the Schoonover-Stemple Funeral Chapel are currently owned and operated by Gary E. Schoonover, an embalmer and funeral director licensed by the State of West Virginia since 1974 and registered with the National Conference of Funeral Service Examining Boards. Schoonover is a High Honor graduate of the Pittsburgh Institute of Mortuary Science (Fall of 1974) and holds a WV Board of Regents, Bachelor of Arts degree from Fairmont State College. His association with John M. Stemple began while a student at Philip Barbour High School in 1969. At the death of John Stemple in December 1990, Schoonover succeeded Mr. Stemple as owner of the firm. In 1995, he moved the Stemple Funeral Chapel into new quarters at 607-609 Crim Avenue and added his name to the facility, creating the Schoonover-Stemple Funeral Chapel at Belington. In addition to his professional memberships, Schoonover is a member of St. Elizabeth Roman Catholic Church. He formerly served as a "Partner in Education" with the Mt. Vernon Elementary School at Brownton and as a member of the Mt. Vernon Elementary Local School Improvement Committee. Timothy Schoonover is the son of Gary and Kathy Schoonover. He is married to the former Kelly Dawn Poling. They are parents of a daughter, Emily and twin boys, Caleb and Logan. Tim is a 2003 graduate of Philip Barbour High School and May 2007 graduate of West Virginia University where he was a four year member and rank leader in the "Pride of West Virginia" the Mountaineer Marching Band. In September 2009, Tim graduated from the Pittsburgh Institute of Mortuary Science where he served as president of his class. While attending mortuary school, he worked for the Winter Funeral Home PC, where he had the opportunity to clinically work with Robert Mayer, the author of Embalming: History, Theory, and Practice. Tim is currently a Licensed Embalmer and Funeral Director in the state of West Virginia and is registered with the National Conference of Funeral Service Examining Boards. He is a member of the New Beginnings Church where he serves as a trustee, the Barbour County Sheriff Deputy Reserves, and serves on the Civil Service Commission for Barbour County. Richard N. Jones is a funeral assistant at the Schoonover-Stemple Funeral Homes. He joined the funeral home in March 2009. He graduated from Philip Barbour High School in 1967 and was a 1971 graduate of Alderson Broaddus College with a BA in Elementary Education. He continued his education and graduated from West Virginia University in 1975 with his Masters Degree in Education. He retired from Barbour County Schools after 33 1/3 years of service. Mr. Jones is a member of the West Virginia Funeral Directors Association, the West Virginia Education Association, the National Education Association, the Barbour County Education Association, the Barbour County Association of Retired School Employees, and the Cornerstone Baptist Church where he serves as a pianist. He is married to the former Linda Phillips. They are the parents of three children and and have four grandchildren. 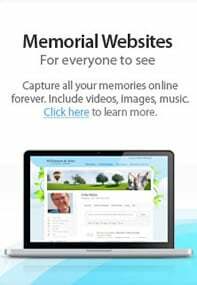 Charles “Butch” Markley is a funeral assistant at Schoonover-Stemple Funeral Homes. He joined the funeral home in 2009. He is a native of Randolph County but has been a Barbour County resident for the past 6 years. He retired in 2005 as a route salesman from Stroehmann Bakeries after 27 years service. Mr. Markley is the proud father of one son, one daughter and grandfather of four. He is a member of the West Virginia Funeral Directors Association.